In February, Public Energy Performing Arts is taking Peterborough audiences on a trip down under with two dance presentations from Australian indigenous artists Djuki Mala and Victoria Hunt. These dance artists, who bring fresh ideas and energy to the stage as well as insightful views to indigenous Australia and New Zealand, have been selected for Public Energy’s main stage season by curator Patti Shaughnessy. 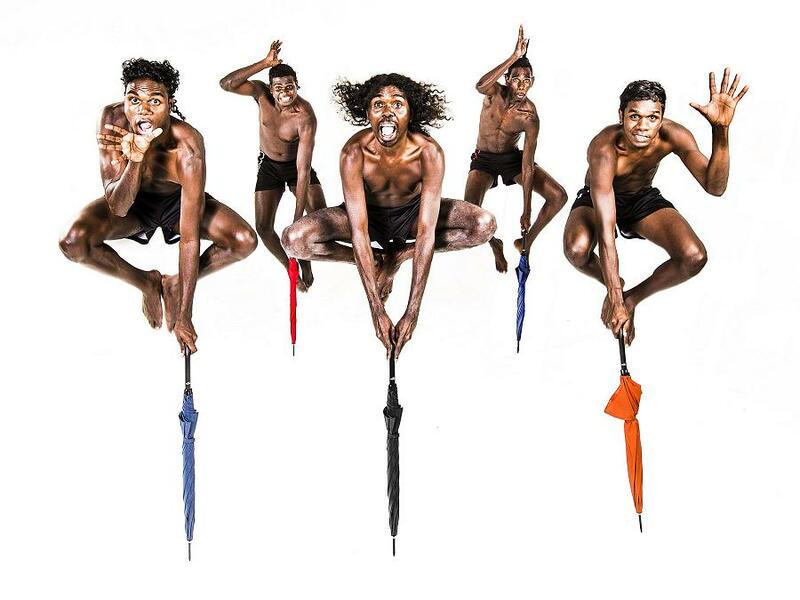 First up is the acclaimed dance company Djuki Mala, who will be performing at Showplace Performance Centre on Tuesday, February 5th. The five dancers come from Elcho Island, a remote community off the northern tip of Australia owned by the Yolngu, an indigenous people who have lived there for at least 50,000 years. Originally calling themselves the Chooky Dancers (“chook” is Australian slang for chicken), the group came to prominence in 2007 when they posted a YouTube video of 10 dancers performing a routine to the tune of “Zorba the Greek” on a basketball court in Ramingining in Australia’s northern territory. Within 12 weeks, the YouTube video had 500,000 views (it now stands at almost 2.9 million views), and the dance troupe immediately found themselves in demand. Since then, Djuki Mala — they changed their name in 2014, with “djuki” being an adopted word for chook and “mala” meaning people who share a common feature — has created a number of shows that fuse traditional Yolngu culture with pop culture, dance, clowning, and storytelling. Dressed in traditional costumes and ochre, with gaga (spears) and galpou (spear thrower), Djuki Mala creates an exciting spectacle that appeals to all ages. They have performed to sold-out audiences around the world, including China, North America, Europe, and the Middle East. As much as the traditional dance, the comedic element that makes up a Djuki Mala performance has its origins in Yolngu culture; in fact, clowning has been part of Yolngu culture longer than many of the traditional dances themselves. The show tells the genesis of Djuki Mala, interspersed with multimedia, and gives audiences the opportunity to experience some of the more intimate moments and turning points that have shaped them. The family-friendly performance takes place at 7 p.m. on Tuesday, February 5th at Showplace Performance Centre (290 George St. N., Peterborough) and will be followed by an on-stage question-and-answer session with the artists. Tickets are $22 ($12 students and underwaged, $7 high school students) and are available in person at the Showplace Box Office, by phone at 705-742-7469, or online at www.showplace.org. There is an additional $3 ticketing fee when buying online. A completely different dance performance takes place two weeks later, when Victoria Hunt presents her solo show Copper Promises: Hinemihi Haka at Market Hall Performing Arts Centre on Tuesday, February 19th. A dance artist based in Sydney, Australia, Hunt’s heritage is Maori, the indigenous Polynesian people of New Zealand. In 2003, Hunt went to Aotearoa (the Maori name for New Zealand) and met her relations for the first time. She was taken to Tarawera mountain and lake and introduced to tribal stories and ceremonial practices. There, she heard the story of the 1886 volcanic eruption that displaced her ancestors from their land. 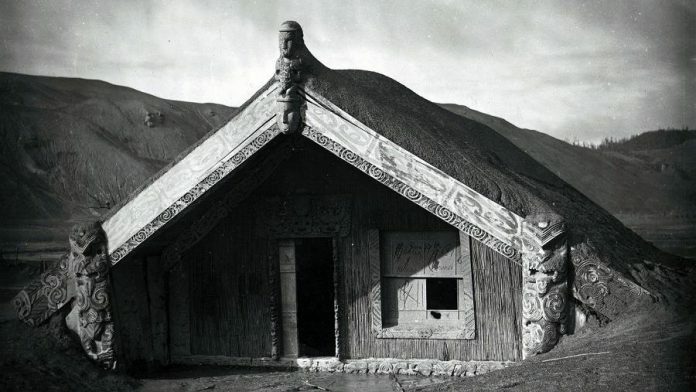 Over 150 people died in the eruption of Mount Tarawera, but others were protected from the ash and mud by sheltering themselves in a meeting house built in 1880 from native totara wood by two local carvers. The meeting house was named Hinemihi after a noted female ancestor, renowned in Maori legend for keeping the company of a giant lizard. After the eruption, the survivors relocated to a nearby community and Hinemihi was left behind, almost buried in debris. In 1892, William Hillier Onslow — the Fourth Earl of Onslow and retiring Governor of New Zealand — purchased Hinemihi for 50 pounds as a memento of his time in New Zealand. He had Hinemihi dismantled and shipped to his home in Surrey, England, where she remains to this day under the care of the National Trust UK. Copper Promises: Hinemihi Haka interweaves the journey of Hinemihi with Hunt’s own experience of finding family, of reconnecting with culture, and of learning from land, ancestors, and peers. 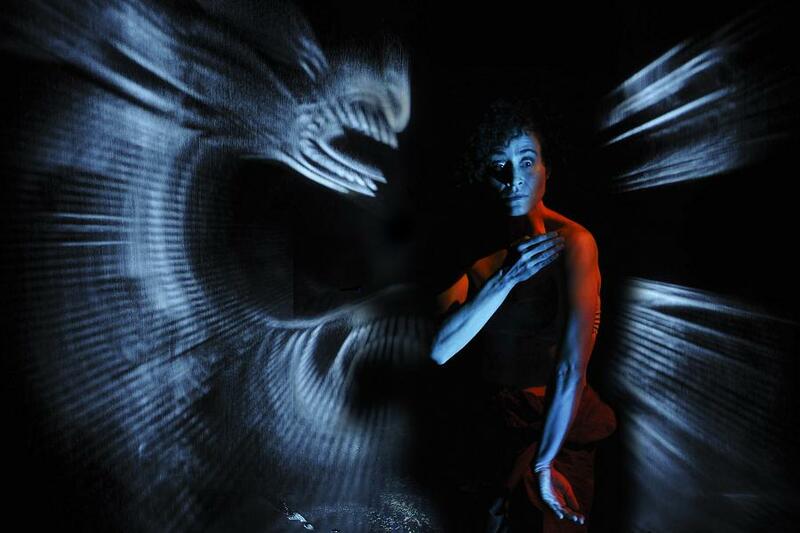 Using sophisticated special effects and evocative sound, with beautifully suggestive dancing and her native Maori language, Hunt and her collaborators have created a world of rupture and foreboding and of resilience and joy. Hunt’s production of Copper Promises: Hinemihi Haka will be performed at 8 p.m. on Tuesday, February 19th at Market Hall Performing Arts Centre (140 Charlotte St., Peterborough) and will be followed by an on-stage question-and-answer session with the artists. Tickets are $25 ($15 for students and the underwaged and $10 for high school students) and are available in person at the Market Hall Box Office, by phone at 705-749-1146, or online at markethall.org.